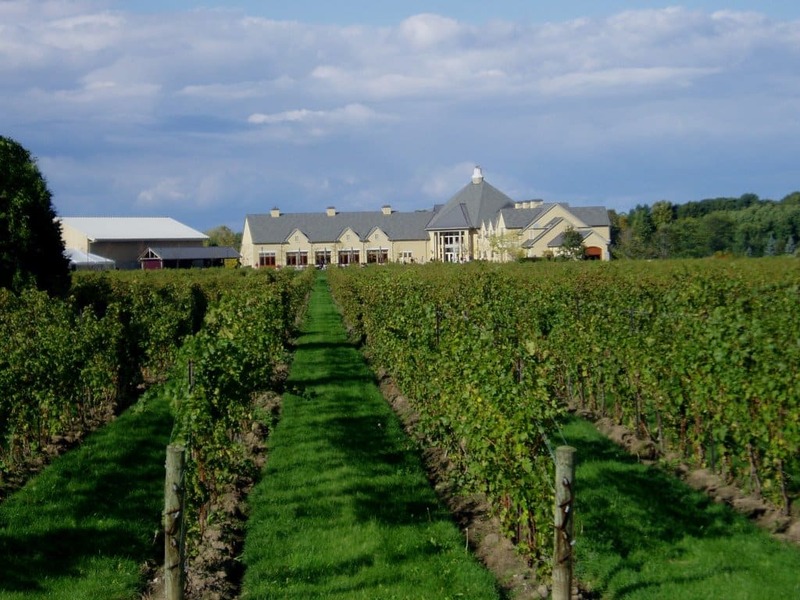 It’s no secret that Niagara is a wonderful region for wine. The soil and climate around Niagara Falls mimics the terroir of the most beloved wine regions in France and Italy. Though Niagara winemakers are relatively new — the oldest wineries still extant have vineyards dating only to the 1970s — their offerings are strong. In fact, Niagara wines are gaining such fame that over 80 percent of visitors to Niagara Falls plan at least one winery tasting and tour. Everyone has favorites, especially wine lovers, but you won’t find excitement in the same bottle of Merlot you always get. This year, you should branch out to a new type of wine from a new type of grape. Around the world, there are more than 10,000 different varietals, from the popular choices on North American shelves (Sauvignon Blanc, Chardonnay, Pinot Noir, etc.) to exotic ones you might never get to taste, like Romorantin, Assyrtiko, Petit Manseng, and Bonarda. Some specialty shops carry unique and rare varietals, and it is worth searching through dusty shelves to experience new flavors and sensations. You can find all sorts of familiar varietals in Niagara Falls, but you might also stumble upon something rare and fascinating. Some winemakers source their vines directly from the oldest vineyards in Georgia, and as a result, they are growing some of the oldest and rarest wine grapes in the world. You can learn more about the project by visiting the Niagara College Teaching Winery during your trip. No two winemakers make wine the exact same way. Even within a single vineyard, the same grape varietal might make vastly different wines from year to year. Regional winemakers work to produce your favorite varietals with new and interesting twists. For example, when you visit Niagara Falls, you can sample Vidal, Riesling, and Cabernet Franc grapes like you’ve never had them before: as icewine! 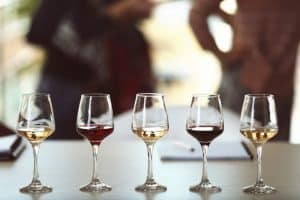 Icewine is notoriously laborious to produce, and not many regions outside of Niagara Falls have the right terroir to make it tasty. Inniskillin’s icewine is world-renowned for its delicate flavor, so you must stop there on your winery tour of Niagara Falls. You know you love wine — but do you know why you love the wines you do? It is impressive, especially to other wine lovers, when you can dissect a wine into its component flavors, pair wines and foods perfectly, and perform other tasting-related feats. This year, you should practice your winetasting skills, so you can turn your passion into a prestigious hobby. Almost all Niagara Falls wineries offer tasting rooms, where you can experience their current offerings. However, near the beginning of your tour, you should stop by Ravine Vineyard Estate, which produces a wide variety of well-known varietals. Here, you can open your palette to the variations between different types of wine and perhaps take your first steps toward becoming a certified sommelier. It’s easy to pick wines by their labels; it’s much harder to pick wines by their tastes. Once you start getting the hang of tasting the subtle flavors in different wines, you should begin a wine journal to stay organized. Every time you try a wine, you should write down the name and varietal, the dominant flavors, and whether you enjoyed the glass or not. While you are on the road, it is especially important for you to jot down notes. Then, you can return to wineries in Niagara Falls where you found your favorite flavors. During your travels, you can also use apps like Vivino or Delectable to point you in the direction of most wine lovers’ top tastes. There is an absurd range in how much a bottle of wine can cost. At big box stores, you can buy a bottle for as little as $3. Meanwhile, the rarest vintages sell for hundreds of thousands of dollars. Undoubtedly, you are often tempted to invest in the less expensive labels, so you can get more wine for your dollar — but this is a big mistake. In truth, you are wasting your hard-earned cash on lower-quality wine, and you would enjoy your wine experience dramatically more by buying from the top shelf. Prices at Niagara Falls wineries are as diverse as the wines available at your local wine shop. Typically, you will get more out of your wine-cation by spending more time and money at the highest-rated wineries and ignoring the budget vineyards altogether. This means leaving plenty of space in your trip itinerary for winemakers like Flat Rock Cellars, Tawse Winery, 13th Street Winery, and Pellar Estates.